Hospitals are basic requirements for living a healthy life in today’s world. And with increasing pollution and change in diet and lifestyle, People are getting more diseases than ever. That means the need for hospitals is also increasing every day. A hospital as per Wikipedia is a health care institution that provides treatment to diseases with specialized and trained medical staffs and equipment. It has emergency department for treating extreme cases like of heart attack, fire and road accidents. Hospital in a basic requirement but it is really unfortunate when people don’t get this basic need. In Nepal as well there are many places without hospitals. It has caused untimely death of many people. This situation specially prevails in remote areas of Nepal. In absence of hospitals People die of even the smallest disease. And the situation is even bad when there are hospitals but no doctors. Doctors don’t want to go and work in remote area. This has cost many People their lives. And in many places the scenario is such that even if there are hospitals there are so poorly equipped that it is of no use. Norvic Hospital is leading medical specialty center in Thapathali, Kathmandu.The hospital is established and run by the leading business house of Nepal Chaudhary Group.It is a very well equipped hospital with 150 beds and dedicated team of doctors, nurses and managers. The hospital was established in 1994 and since then has maintained good reputation. It is first hospital in Nepal to receive NABL accreditation because of its high tech laboratory services. They are ISO 9001:2015 standards certified hospital. Norvic Hospital aims to world class health care facility to patients in affordable cost.They are about to lunch a mobile app very soon to facilitate their patients in inquiry, making appointments and so on. Spread over area of 15 acres and with more than 700 beds Nepal. Mediciti is the biggest private hospital in Nepal. It is private hospital in Bhaisepati, Lalitpur started with three major mottos : Affordability, Accessibility and Advanced Medicine Personalized care. They aim to become not only the best hospital in Nepal but South Asia. It has adopted many technology that are new in Nepal. The most unique thing about these hospital is that it has adopted one institution one doctor principles. Other than this it is the most well equipped hospital in Nepal. It has 3T MRI,CT Scan : Siemens Somatom Definition Edge 128 slice,ECMO : Sorin’s SCP ( Italy) Fifth generation modular heart lung machine. 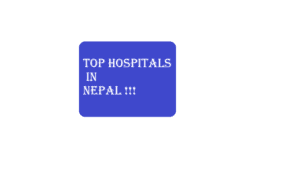 The hospital offers all kinds of surgeries that were previously not available in Nepal. From my past experience as well Nepal mediciti is one stop solution in health care. It has got very good environment and team of nurses and doctors. At similar fee like other hospitals it offers better service and care. The environment is also quite good and as soon as you enter the premises you can see the good infrastructure. The hospital with first EICU, first helipad in Nepal Vayodha is one of the best hospitals for critical care in Nepal. They are renowned for their heart care and in treating critical cases.It was started in Nepal with vision of cure with care. The term Vayodha means good health in Sanskrit and that is the ultimate motto of vayodha hospitals. Situated at in the major orbit of ring road Kathmandu in Balkhu, it is a multi-specialty hospital that offers wide range of care from primary to treating critical cases. It aims to become national leader in health care. It initially created buzz with its helipad but Vayodha Hospital has more than just that. The hospital has dedicated team of qualified and trained doctors and health professional who always work hard to maintain the hospital’s core values. The hospital is very well equipped and facilitated. From location point of view as well it is very convenient. Kathmandu Model Hospital is one of the oldest hospital in Nepal. It is a 18 bed hospital in Putalisadak, Kathmandu founded in 1993. But the hospital has expanded and now has capacity of 100 beds. It is community hospital dedicated solely in service providing. It operates and works in accordance with PHECT. With the belief that service should be patient centered, KMH operates with full dignity. And it is quite affordable than the hospitals listed in the article. The hospital follows the principle of removing human sufferings not just curing diseases and to help those who can’t afford for medical care. The hospital drives with motto that health care should be accessible to everyone, rich or poor. When we talk about hospitals there is no way we forget Bir Hospital, the oldest hospital in Nepal. I don’t think there is anyone who hasn’t heard of Bir hospital. Bir Hospital is government owned hospital solely focused on delivering health care. But in recent years the condition of Bir hospitals has been deteriorating. With many private hospitals with better facilities Bir hospital could not cop up with it. The infrastructure and equipment were so poorly built that people stopped going to Bir Hospital. Only those who can’t afford other hospitals stared going to Br Hospital because of its cheaper fees being government hospital. But today the scenario is different, Multiple efforts have been made to improve the situation of Bir hospital. Now with better facility and services Bir Hospital is again maintaining its reputation. People have again started trusting and visiting the hospital. The government and many INGOs and NGOs started working for Bir hospital. So now the condition has improvised. There is now systematic ticket counter, well equipped labs and well-built infrastructures. The establishment of Trauma center will add another asset to it. By the end of 2019 Bir hospital is to add 100 beds to existing 550 beds. Likewise, Surgical block construction is going on rapidly. We can be more hopeful about the future of Bir Hospital in future.